Everything tastes better with chocolate! 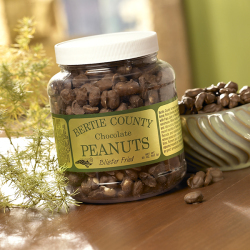 Our home style peanut brittle has been drenched with delicious chocolate to create a taste that is unforgettable! This brittle is so delicious. What a brilliant invention! To my knowledge the package hasn't been received as yet. Owner Response:According to FedEx tracking, the package was delivered on December 30. Please contact us at info@pnuts.net if the recipient did not receive the package. Thanks! Not my favorite. The flavor is good, but just not my "cup of tea" so to speak. Sent to my son and he said he can't keep his hands out of these..so tempting! The chocolate covered peanut brittle is amazing! Best chocolate covered peanut brittle I've ever had! we get these every year at the Christmas Carousel show. So glad that I can order them online also. Looking forward to buying more at the Southern Women's Show next month! All I can say is OMG! The chocolate covered peanut brittle is beyond amazing. You have made a customer for life!!!!!! Love this product. It is addictive!!!! This is a wonderful treat! We eat ourselves and give as gifts! Best one we've ever had! Best tasting ever! Fell in love with their products while on vacation and now order it all the time! Brittle is already great, but add chocolate, amazing! Peanut brittle is ok but if you ever get this chocolate covered you'll be hooked! 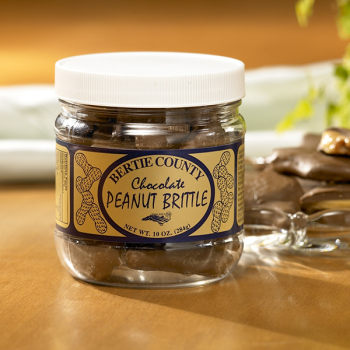 The brittle is not too hard & it has just the right amount of chocolate covering to make it delicious- I buy it for gifts & always buy an extra jar for myself! 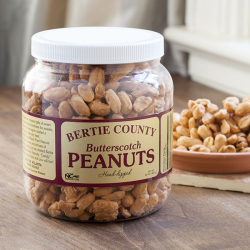 My local farmer's market even has a vendor that carries Bertie County products so you know they're good! Best treat ever!!! Don't ever stop making this. Makes great gift, too. Love the chocolate peanut brittle! I had heard about this and wanted to try it, outstanding! Great snack if your looking for a little bite of sweet.